This is a newer version of my logbook program. 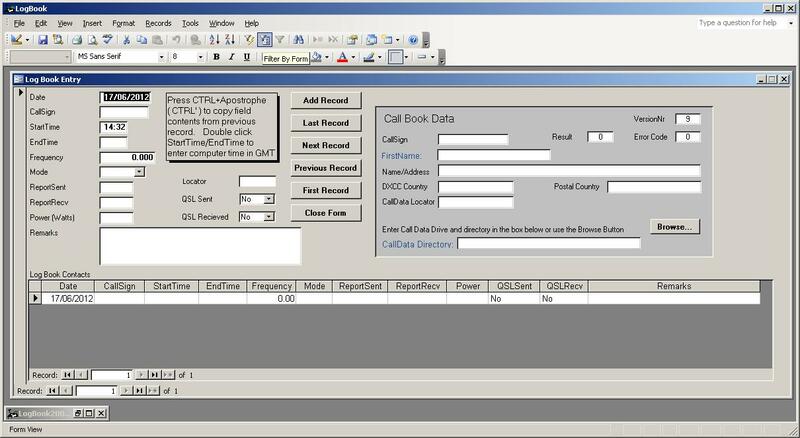 To run this program, you must have Access 2003 and to use the Call Data section. You must have the Whitehorse Radio Amateur Callbook. 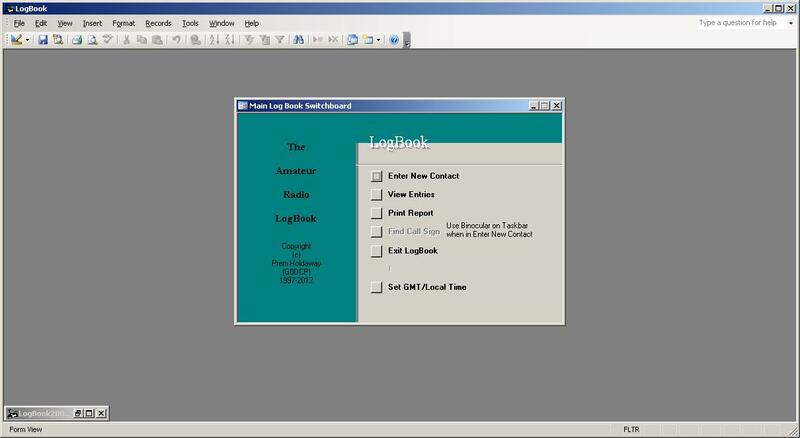 In this version you can enter the directory path to the Whitehorse Callbook or press the browse button and browse for the directory path and select save. (Don't forget, you must have Microsoft Access 2003 for this file to work).